Join the Facebook page to stay in the loop for ordering in May 2019. $28 a plant, two colours light pink and dark pink. Must be in a cold climate 500m above sea level for plants to flower. Buy tickets at the farm or online in November 2019. Follow our Facebook page to get up to date information. Peony plants begin to flower, in our region at the start of November and finish towards the middle of December. Our plants flower later than other regions in Victoria due to the Central Ranges being a little bit colder. We also sell the bare root of the plant in May so you can grow your own peony flowers if you live in a very cold climate, 500m above sea level minimum. In Spring, each peony stem is cut by hand, sorted, packaged and then kept in the cool room until they are loaded up on the weekends and taken to the Farmers’ Markets. We attend the Melbourne Farmer’s Markets and also the local Farmers’ Markets in the Macedon Ranges and Hepburn Spa Country areas. We supply the local florists in the region with the aim of reducing the amount of travel the flowers do before reaching you. We use organic and sustainable practices on our farm and although we are not an Organic Certified Farm, we aim to be. We chip the weeds between the plants and we fertilise with organic fertiliser, manure, rock dust and lime. Look through our pages on our site for the information you might need but also feel free to contact us for anything we may have missed. 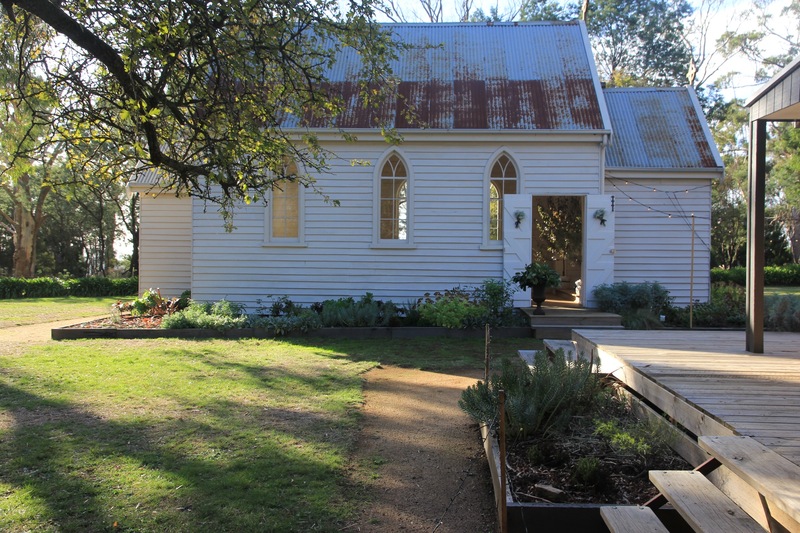 A wedding at the Little Church which is part of the Spring Hill Peony Farm.